September is the time of the year when the California Department of Education releases its yearly Academic Performance Index (API) scores. Here are the 2009 Growth API Scores for Santa Clara County and San Mateo County. We see an overall steady increase in scores compared to last year's growth API scores. Fremont Union High School District: Monta Vista High increase it's lead over Lynbrook High School from four to nine points. Santa Clara Unified: Overall Santa Clara schools had good improvement with notable Rivermark's Don Callejon as well as Westwood and Briarwood Elementary jumping nearly 40 points. Check out our previous post to find out what's the difference between Growth and Base API scores and how they are calculated. These awards were based on how well-prepared students are for college as measured by Advanced Placement (AP) tests. California, as a state, did very well in the rankings, placing #4 out of all rated states --- this means that out of all the high schools rated by US News and World Report, California has a higher percentage of silver and gold medal recipients than all but three states, based on the same criteria above. Of California's 1,999 high schools rated, 126 (6.3%) received silver or gold. The number one state, Massachusetts had 338 high schools rated and 29 (8.6%) silver and gold medalists. US News' rating by AP score is different from California's standardized testing and Academic Performance Index (API), which focuses on California's own standardized tests. It's no surprise that Bay Area high schools Monta Vista, Gunn and Saratoga each have API scores that are some of the best in California, exceeding 900 (out of 1000). 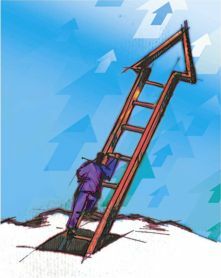 The California Department of Education has released its 2008 Growth API scores for Santa Clara County and San Mateo County, which measure yearly improvement from the state's 2007 Base API scores. The API (Academic Performance Index) scores are considered the cornerstone of California's Public Schools Accountability Act of 1999, and measure the academic performance and growth of the state's schools according to a range of academic factors. The Los Altos, Saratoga, Cupertino, and Palo Alto elementary school districts all maintained district API averages above 900, an excellent score (which is par for the course in these districts). The competitive Cupertino Union schools improved from an already-elite score of 930 to 941, and its border school Stocklmeir Elementary --- which students who are living in Sunnyvale can attend --- notched up 13 points to 959. To offer some perspective as to the strength of these scores, the average state API for all grades is 742, up from 728 last year. This year's score report also reflects improvements at both Cumberland and Cherry Chase, the two top elementary schools in Sunnyvale. Both broke the 900 mark once again, with respective scores of 920 and 909. Also emerging are up-and-coming schools to watch. Take Ellis Elementary in Sunnyvale, which entered the 21st century with a score in the mid-700s and now consistently scores in excess of 800. This year, Ellis improved 17 points with a score of 831. The Campbell Union Elementary District's Forest Hill is another school on the move. At a 2008 score of 888, Forest Hill is inching closer to breaking the 900 barrier. Up from 879 last year, Forest Hill was a low-800s school in 2000. We'll continue to keep an eye on these continually improving school systems as they maintain their march up the API ladder. California's 2007 Base API scores have been released and, looking at the complete list of Santa Clara 2007 Base API scores, congratulations need to go to Los Altos, Saratoga, Cupertino, and Palo Alto elementary school districts for maintaining district API averages above 900. While this is par for the course in these districts, to put this achievement in perspective, the overall state API for all grades is 728. There are two other metrics in the report, statewide rank and similar schools rank, both ratings from 1 to 10. Each number represents a decile, with 10 being the top 10% of all schools in that category. This metric compares schools that have similar characteristics, based on ethnicity, socioeconomic status, teacher credentials, and (about a dozen) other factors. So which number matters more: the state or similar schools rank? By far, the state number. Let's look at some of the Cupertino Union figures for examples. The third column is the state ranking and the fourth is for similar schools: Blue Hills is 10/8, Collins is 10/7, and DeVargas is 8/2. Eisenhower and Muir (not shown) are both 10/2 with API scores of 906 and 894 respectively. The difference in API between 10/8 and 10/7 is only 10 points, but the difference between a 10/2 and 8/2 is about 60 points. The reason is because schools that are alike tend to have similar performance. When you group those schools together and rank them, some turn out to be the best of the group and others the lowest-rated of the group. So if a 10/10 school is the best of the best, should parents be worried about a 10/2 school like Eisenhower or Muir elementary? There is room for improvement, but a 10 means the school is in the top 10% of all schools in California. At that level, I'd be more focused on what programs, classes and activities a school has to offer than beating other quality schools in standardized tests. A school district's reputation and test scores are a badge of honor for many Bay Area neighborhoods and their homeowners, so with the impending release of the 2007 Base API scores, it's important to understand what they mean relative to the previous year's scores. The tests and the methodology the California Department of Education (CDE) uses to assess the academic performance of its school districts evolve every year, by what they call the "phase-in of new assessments (indicators) into the API" on page 13 of this 73-page PDF explaining the 2007-2008 performance index. In order to maintain an apples-to-apples comparison, the CDE uses two metrics: the base API and the next year's growth API, both of which use the same tests. That ties the two scores together for comparison. So, for example, you can see how well your schools have improved by comparing the 2007 Base API scores (from spring 2007) with the 2008 Growth API scores (from spring this year). This 2008 Growth API scores will be released in August. Homeowners and buyers shouldn't compare 2006 Base API scores directly with 2007 Base API scores to gauge the direction of their school district. We need to use API growth over a period of time, as in the chart above. An up-and-coming school district will have positive growth scores over several years, and an elite school district should see relatively little change in that same period. 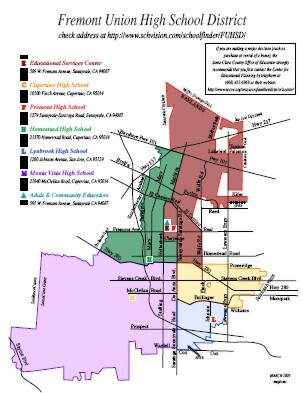 The hypothetical chart above taken from the PDF document could represent a good school district that worked its way to elite status between 2003 and 2004, and for their homeowners, it probably represents the culmination of a lot of community effort and participation in their children's education. Buy low, sell high. A lot of people ignore this truism and they believe they have good reason for doing so. Sometimes several good reasons. After all, it's not the same as the stock market: most people don't love their money. Sure, they want the best for it, but mostly because of the things more of it buys. What does it buy? It depends on the person. Maybe freedom, or time, or an easier life, or the future, often in a college education of their children. No, stocks don't come with locations, or school districts, or uses, except for those jokes about dot-com stocks and toilet paper back at the turn of the century. But whether my clients are investing in real estate for love or money, I consider providing a solid understanding of the strategies behind choosing a school district an essential part of their property search. When buying a home in Silicon Valley, you're secondarily investing in the school district where you buy your real estate. Plus, you can tell a lot about the property you're looking at by how easy the listing agent makes it to find the schools for that location. But how you choose a school district --- or said more generally, how you choose the right location for your home search --- depends on your answer. Are you buying a home for love or money? The trick is that it's not an either-or proposition. It's a matter of what resources you have, how much you're willing to spend and how you prioritize your home search. As I do with my clients, we'll examine several options from least to most expensive. It wasn't the first time I'd heard this, but it was the most succinct. "Alex," he said, "I love my kid to death. This move is already very stressful on him and I want him to be in an environment where he can focus more on making friends than competing for grades." I wanted to bring this up as a possibility because some parents believe that an good education is important but isn't necessarily worth the pressure on their children. A home in an ascending school district often has more upside potential than a home in a prestigious school district where the quality of the schools is already built into the price of the home. That isn't to say a home in the less expensive neighborhood will appreciate more, in real terms or as a percentage. It's that you may not want to pay for something you don't need and you can put that money into more land or home improvements, which will increase your value for money. Also, if you choose a school district that is continually improving, you'll benefit even more because you'll be receiving value for something you didn't pay upfront for. Let's look at two neighboring cities: Cupertino and Sunnyvale. Cupertino's reputation for schools precedes it and it occupies a very specific market niche. Sure, the shopping mall at Cupertino Square is undergoing a revitalization effort and its wine country, hidden away towards the mountains, has a breathtaking view of all Silicon Valley. But Cupertino is all about the schools, and it's right to be quite proud of that. For many of my clients, that's all they need to know and we skip to #4. Despite their geographic locations, there are two major differences between Cupertino and Sunnyvale. The first is in relative pricing in both single-family homes plus townhomes and condominiums. Cupertino is represented using red hues and Sunnyvale using blue hues below. The difference in medians between single-family home prices in the two cities was $325,000 in April 2007. The second major difference is in school districts. Here is a comparison of the API scores of the two primary school districts. Cupertino is in the elite category with scores over 900 for the past three years. Sunnyvale is approaching 800, which is the benchmark for the State of California. With a difference of $325,000 in the two real estate prices, one style of value investor would consider the bottom-line cost savings, the number of improvements that can be made to the house for that cost saving, and potential appreciation of an improving school district. That type of investor may or may not have kids to send to that school district and the upside of improving API scores or a local school working towards a California Distinguished School award may be appealing. For families with children, the cost savings between median houses in those two areas could pay for not only private schools but college. Some schools, like Bullis Charter School (which has an off-the-charts API score of 973 and a 10 out of 10 ranking both statewide and for similar demographics --- and a similarly impressive wait list) take residents from anywhere in California. There is technically no tuition but a donation ($3,500 at Bullis) is expected. Palo Alto, Saratoga, Los Altos, Cupertino, Pleasanton. The names alone read like a Who's Who list of elite school districts, not only in Silicon Valley and the Bay Area, but across California and even nationwide. Some of the best Bay Area school districts like Palo Alto are even opting out of the ranking game, choosing to focus on students and what's best for them, rather than on making sure students hit all the checkboxes needed for those districts to get high rankings. And voters in cities like Cupertino protect their schools by restricting growth, and the additional load on their prestigious school district, even though there may be enough land physically to support more developments. You pay the premium in those areas. But there are quality schools in cities that don't have the same elite reputation. For example, Moreland Elementary School District in San Jose between Cupertino, Campbell, and Saratoga has 5 elementary schools with API scores over 850, with Country Lane Elementary at 915. Sunnyvale's Cherry Chase Elementary hit 941 in 2006, with a 10 out of 10 statewide ranking; and Cumberland comes in at a more-than-respectable 865 with a 9 out of 10. Roy Cloud Elementary in Redwood City is a 9 out of 10 with an 883 API, and Redwood City's North Star magnet school rates at a 985 API and 10 out of 10. Also, because cities overlap unified school districts, it's possible that a home in one city will be covered by a school in another city. This is particularly noticeable in Sunnyvale and Cupertino where they share the Stocklmeir Elementary and Cupertino Middle among others. I combed through the spreadsheet I built with over 400 schools so there are too many gems to list. The reason why I put it together is to highlight schools that have increased their API scores in three years successively, so my clients know where there might be good values. The point I highlight for them is that it's the choice between buying the name of the city and buying the school. When you choose to buy the school, you may not have to pay for the name. But there is nothing wrong with buying the name: you get similar benefits and pricing to the way people buy and resell name-brands. It's the commitment. The priorities. Some cities have theirs in a different place. Foster City has been putting off building their own high school because they want to focus on commercial and industrial uses of land. Cupertino virtually requires developers to help fund their school system. The median price of homes is about the same in both cities. There are the other benefits to buying the brand name. The brand recognition. The prestige. The neighborhood. Will it be easier to sell your home at a higher price in Palo Alto or Redwood City? Plus, not everyone has the time or inclination to do such in-depth research, so they rely on the name. Choosing where to spend your time is just as important as choosing where to spend your money --- and ultimately that decision is up to you. In order, the top five districts are Los Altos, Saratoga Unified, Cupertino Union, Palo Alto Unified, and Los Gatos Union. You can find the most up-to-date API rankings here.